On most topics, Indians tend to speak in a babble of voices throwing out a thousand different opinions. Except when it comes to Chaat (Indian street food). With Chaat, there' remarkable unity in Indian opinion. Hey, we may have made America our home but Chaat still rules our taste-buds. Not burgers, tacos or, God forbid, pizza! 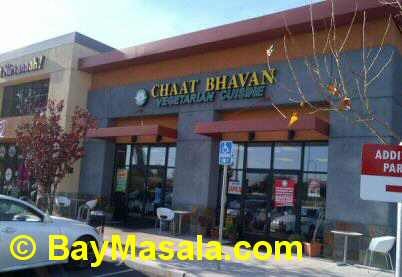 On a recent Sunday, we stopped by at Chaat Bhavan on Mowry Ave to give free rein to our Chaat cravings. 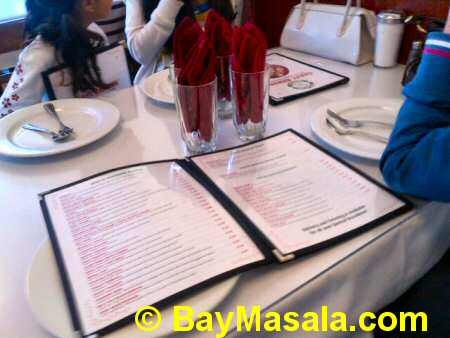 As we walked in around 1PM, we were seated at a table within four minutes of our arrival. A waiter came by within five minutes to take our order of Chaats. Since we were in a Chaat-famished state, we went the whole hog ordering Chinese Bhel, Hara Bhara Bhel, Dahi Papdi Chaat, Samosa Chaat and Masala Chaat ($4.99 each). 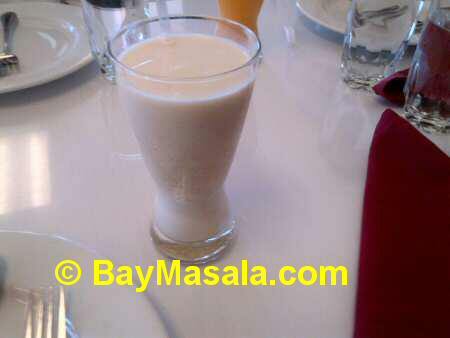 We rounded off our Chaat meal with Mango Lassi, Salty Lassi (chaas) and Paan. Our Chaats arrived at the table in about 17 minutes. They came in phases and all looked yummy. 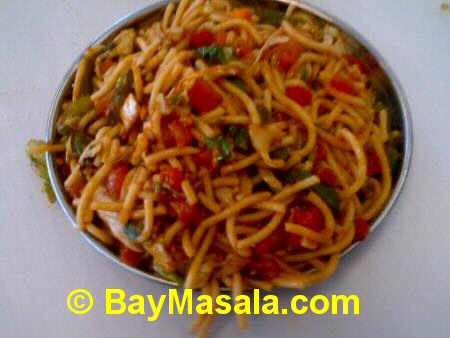 Chinese Bhel was at normal room temperature when it was served. 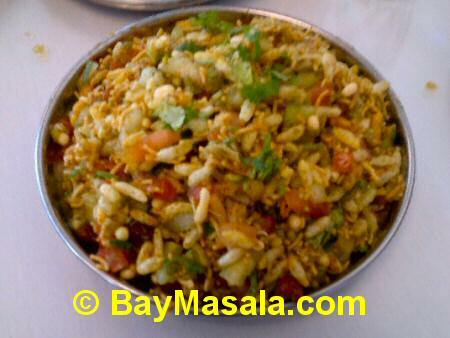 It is different from normal bhel as it has noodles and vegetables instead of kurmura (puffed rice). It was good but I prefer chatpatta bhel than noodles bhel. I found other diners too ordering this item attesting to its popularity. I sort of liked it but normal kurmura bhel is always better due to the different spices. Hara Bhara Bhel was served cold. It had regular kurmura (puffed rice) along with vegetables and mixed in coriander chutney. I guess that's how it gets the name Hara Bhara Bhel. I enjoyed the Hara Bhara Bhel with its right mix of spices, salt and vegetables. It could be made spicier if needed but the way the Chaat is done here it can be had by both Indians and Americans. Pani Puri is my favorite and, boy, do I adore this divine treat! You are served a mix of bean sprouts, cut onions, sweet chutney along with mashed potato with red chili and sev. Then it's up to you - You make a small hole in the Puri and add the different sides in your preferred proportion to tickle your taste-buds. Nine puris are just enough to get your taste buds going and the accompaniments are adequate for the Puris. The spicy chutney water could definitely have been spicier. I had to cut back on sweet chutney to get the spicy flavor. 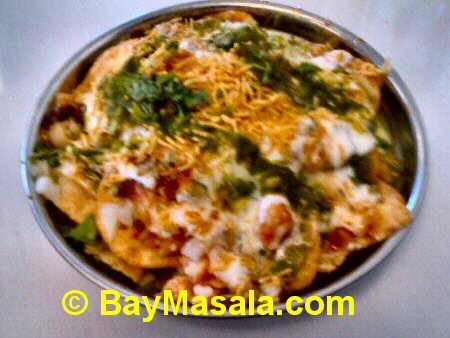 Dahi Papdi Chaat was served cold as it has yogurt which is normally cold. Our Dahi Papdi Chaat had a freshly mixed feel. I am not much of a dahi fan with my chatpatta snacks. But it was a good mix of sour and salt and spicy taste. Samosa Chat was at room temperature. The Samosa could have been heated a little more as it gets lukewarm by the time it was served. 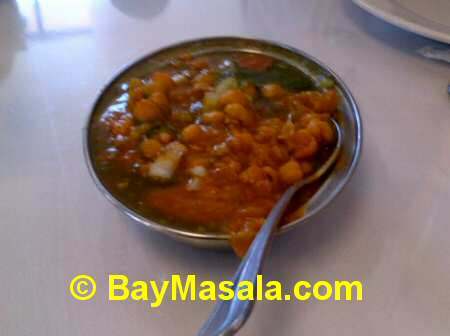 Also the channa (chole) served on top were not that warm. The samosa was a disappointment. I have eaten better samosas in Fremont (Lovely Sweets' are the best). I would not recommend Chaat Bhavan's Samosa Chaat. I hit a home run with Masala Chat. I like my Chaat spicy and this was it. This was the spiciest of all the chaats that we ordered. 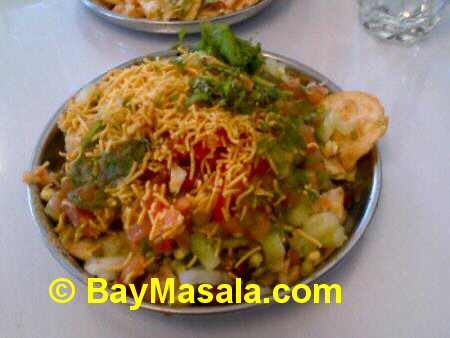 Masala Chaat was served at room temperature probably due to all the ingredients that are mixed together. All the bhels and chats have their own unique flavor. Although Masala Chaat, Hara Bhara Bhel and Dahi Papdi Chaat have almost similar ingredients, the spice in the first, green vegetables in the second and dahi in the last gives each a distinct taste. Lassis are a good way to end a chatpata Chaat meal. Our Mango and Salty Lassis were alright but nothing to write home about. We topped off our Chaat meal with Indian Paan. Chat Bhavan's paan was a little too sweet for my comfort. Paan normally also should come with the right beetle leaves to give it the perfect taste. I have had better Paan at other places (Pakwan in Fremont used to have better ones but they stopped). 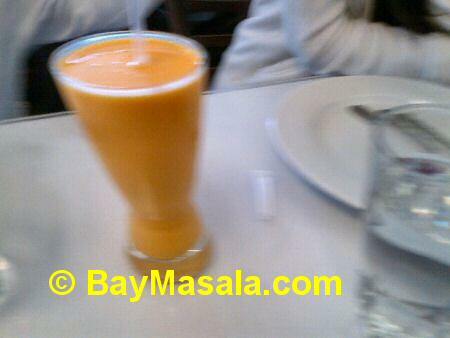 Chaat Bhavan restaurant was clean and the tables were cleaned frequently. Plates and water glasses were clean as well. We were seated promptly and our order was taken without making us wait. Our food was also delivered quickly. Overall, the food quality was good and the quantity sufficient. Each item was served in a clean plate. All items ordered were out of the menu. Our disappointment with the Samosa Chaat notwithstanding, we were pleased as punch with our Chaat outing. I would give Chaat Bhavan a rating of 4.5 on a scale of 5.